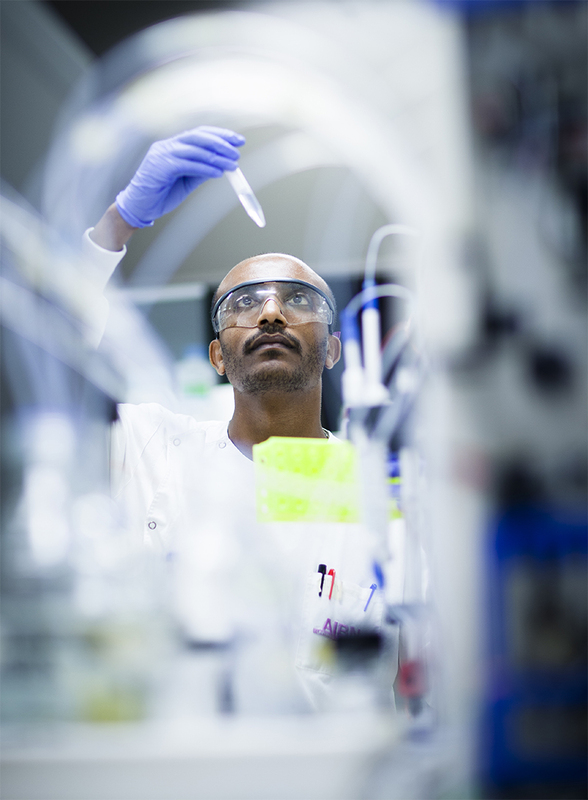 AIBN is a multi-disciplinary institute translating research to new products, processes and devices for improving human health and quality of life. Challenge yourself and experience the strength of science helping society. 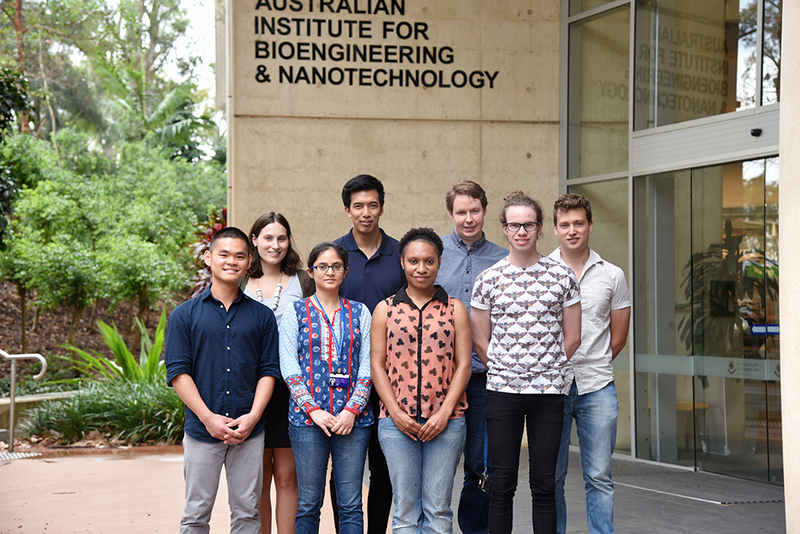 Doing a Research Higher Degree, honours or internship at Australian Institute for Bioengineering and Nanotechnology at The University of Queensland will develop your skills and help you establish a career in research. Undertaking a further study is an accomplishment, and an achievement to be proud of. By working on independent research projects under advisors who are world leaders in their field, in cutting-edge labs, we will help you be at the forefront of emerging technologies for the betterment of society. AIBN is about real-life outcomes, working in areas of human health, energy, manufacturing and sustainability. We look for the best, and provide the best in return. At AIBN we recognise the important contributions research students make to our successes. Offer programs to challenge students to become good communicators, leaders and corporate citizens. Enterprising and enthusiastic students are attracted to AIBN, with AIBN graduates demonstrating the value of their experience here through rapid career development in areas of research, academia, and commercialisation. Read our student testimonials to discover more about the AIBN student experience and life at AIBN. Joe Codamo credits his time at AIBN with giving him the skills needed to take on a challenging role with as a a senior bioprocess engineer. Working in a new state-of-the-art building with scientists from all over the world was an attractive proposition for Dr Yap Pang Chuan. Attending conferences around Australia, meeting researchers from a host of disciples and having access to different labs were among the highlights of Dr Yunyi Wong’s time as a PhD student at AIBN. My laboratory experiments were not carried out within a single lab in the AIBN, but rather within multiple labs in the AIBN, Chemistry and Pharmacology to ensure the best outcomes could be achieved. AIBN combines research and commercialisation and actively encourages researchers and students to publish as well as file for patents, if applicable. While I was here, AIBN group leader Professor Mark Kendall totally sold me on the project with his passion for it, the technical potential of it, and the possibility of how many lives it could affect. That is what kept me. 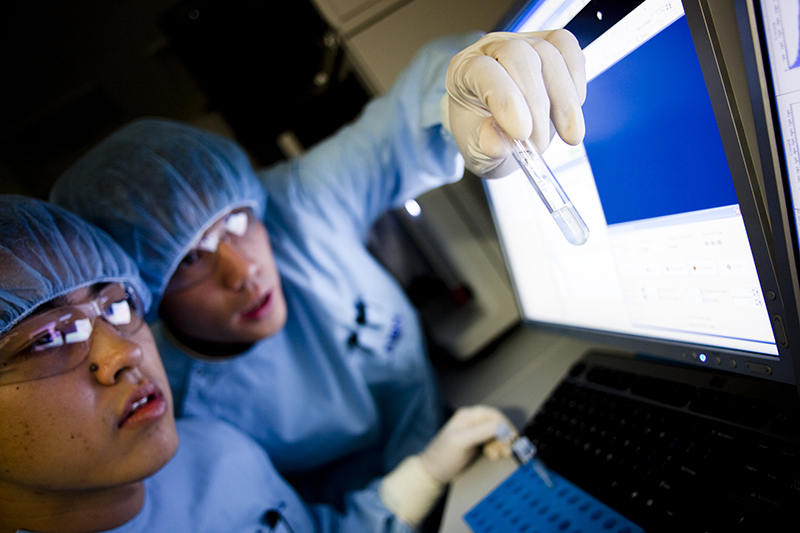 AIBN students have access to leading research facilities that help you get research done faster and better. AIBN is housed in a $75 million a six-level research facility which blends effortlessly into its eucalypt and rainforest surrounds and is safeguarded from the energy-sapping effects of the sun. AIBN is based on the beautiful riverfront UQ St Lucia campus with heritage buildings, lakes, sporting facilities, galleries and museums, and more. 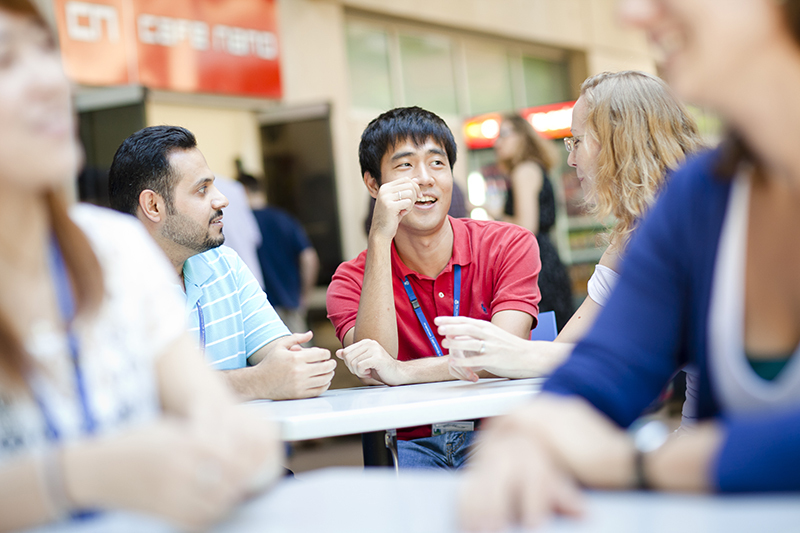 Home to Cafe Nano, (the best coffee on campus) AIBN runs multiple social events through the AIBN student association giving you the opportunity to meet with other students and researchers. Help with student equity issues. St Lucia is located in Brisbane, one of the fastest-growing cities in Australia and is known for its vibrant urban precincts, outdoor lifestyle and friendly locals. Brisbane is a green city with an enviable subtropical climate and diverse population. Late in 2006 the students at the AIBN formed their own student association under the auspices of the UQ Student Union. Provide a support network for students and young researchers within the AIBN. Provide opportunities for academic and career development of students and young researchers within the AIBN through workshops and networking events. Hold social events such as trivia night, student seminar and barbeques, and inter-institute sports competitions. Promote co-operation between students and researchers and generate an awareness of the skills and expertise that exist within the AIBN.